Pandle is capable of working with multiple currencies when invoicing your customers, receiving invoices from suppliers and when using bank accounts which are in a different currency to your base currency. Once you have set up your customer with their relevant currency, you can then start creating invoices. 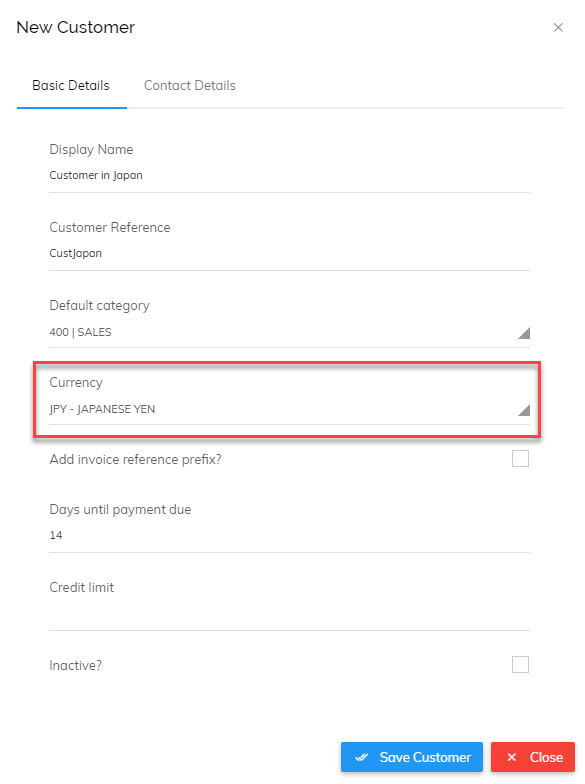 As you can see, the currency is automatically selected along with the conversion rate (automatically calculated according to the invoice date) and relevant symbol. When looking at this invoice and checking the customer's balance, it will always appear in their currency. 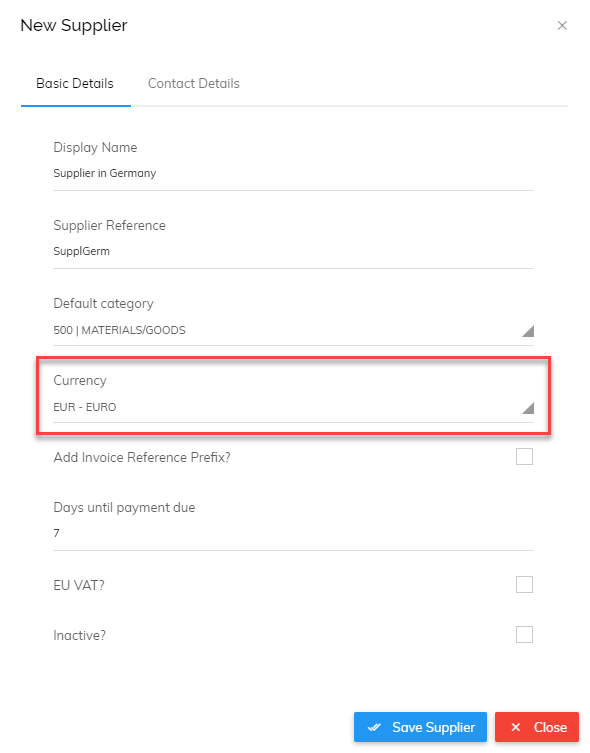 Once you have set up your supplier with their relevant currency, you can then start entering the invoices you have received. 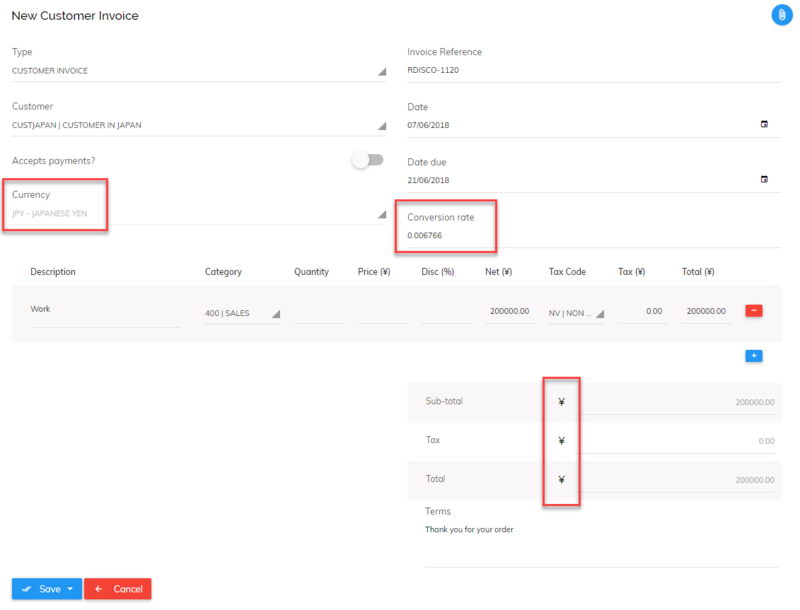 As you can see, the currency is automatically selected along with the conversion rate (automatically calculated according to the invoice date). 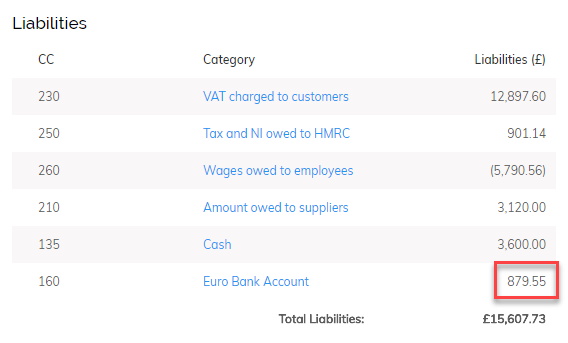 When looking at this invoice and checking the supplier's balance, it will always appear in their currency. If you have bank accounts which are not in your base currency, these can be added to Pandle. 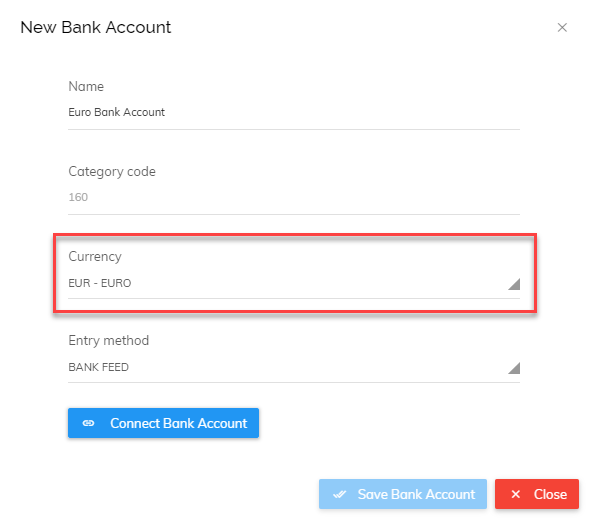 If you receive a payment from a customer into a bank account with the same currency, Pandle will calculate the currency difference automatically. This will be the difference between the worth of the invoice in your base currency compared with the worth of the customer receipt on the date you receive the money. This difference will be shown in a category called 'Currency Difference'. If you are receiving money from your customer into a bank account which has a different currency (for example, if they pay you in Yen into a sterling bank account) Pandle will calculate the difference based on the rate on that date. However, this will likely be incorrect due to the bank using their own rates and charges for conversion. In this instance, it is always best to let Pandle know the amount actually received in your bank in its currency. 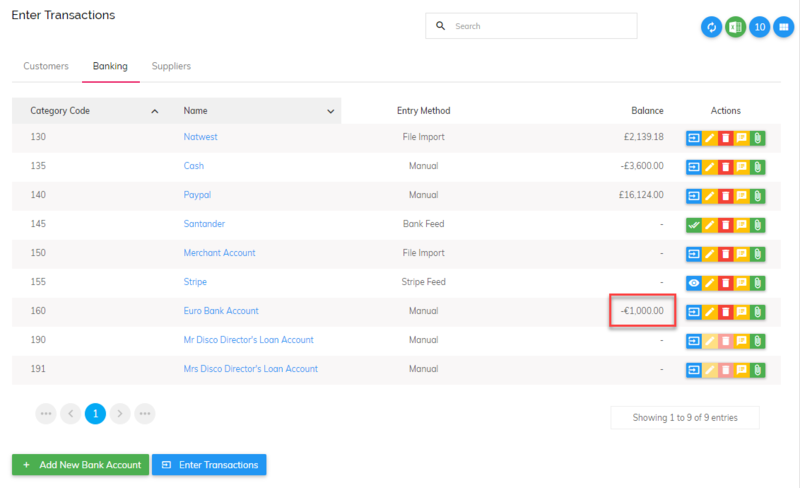 To do this, when processing the customer receipt, simply select the calc icon (shown by the arrow below) and enter the actual amount. Pandle will then apply the relevant conversion rate to ensure the currency difference is correct.